The birthplace of Kaicho Narker was in Cape Town in 1963. His love for the Martial Arts is very evident for in 1974, at the age of 10, he joined the Shotokan Karate dojo (instructor - Ismail Behardien) in Retreat. After three or four months the club relocated to Grassy Park and he ran 4km there and back to train. When that club eventually closed down he "hijacked" a friends karate book (Karate by Bruce Tegner - now a prized part of his book collection) and learnt all that he could out of it. (He laughs now when he recollects how he interpreted Heian Nidan from the book due to inexperience). In 1976, he joined Shukokai Karate (Eric Smith & Jonathan Tommy) and when that club closed, he continued at another branch (Neville Williams). 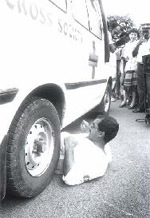 When that club closed down too, he moved to a Kyokushin dojo (Shihan Neville Paulsen) in Retreat. In 1978, at a national tournament, he met and befriended a person who played a very important role in his future karate career, nl. William Quantoi. 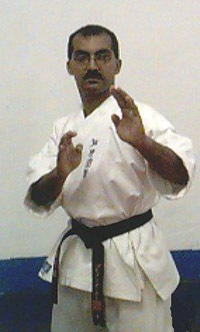 Early in 1980 he started training in Sea Point at the Headquarters of Kyokushin Karate, training under the late Hanshi Len Barnes, Shihan Trevor Tockar and others. Whilst attending University in 1982, he trained with the Karate-Do dojo (Gert Husselman) on Campus as well as training with Shihan Kenny Uytenbogaardt at his Bellville dojo. 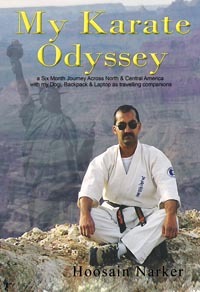 During this time he still managed to train and teach at his own dojo in Retreat. 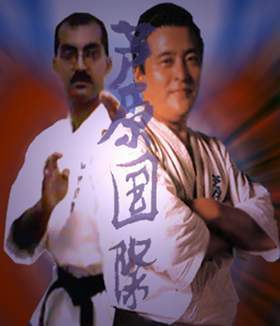 Due to the adherence of the S. A. Kyokushinkai to the political system imposed by the then government, Hoosain Narker and William Quantoi divorced themselves from Kyokushin and went their own way, calling their organisation (then two dojo) Shin Kakuto Jutsu . Even though this move meant a lot of hardship, they continued to develop due to their challenging spirit. Towards the end of that year, he trained with Shotokan Masters Hirokazu Kanazawa and Hitoshi Kasuya. In 1984, he moved to the Strand and started training at the local branch of Okinawan Goju Ryu (Vincent February & Bakkies Laubscher). In that same year, they (W.Q. and H.N.) 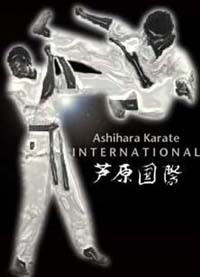 joined the Ashihara Karate Organisation. In March of 1985, he was appointed the Country Representative for the New International Karate Organisation by Kancho Hideyuki Ashihara. Soon thereafter, he attended a two week Okinawan Goju Ryu International Gasshuku, training with such esteemed instructors like Sensei Morio Higaonna, Teruo Chinen, etc. This was followed up by training with Kancho Mamoru Miwa, the 10th Dan founder of TenshinKan Karate based in Saitama-Ken, Japan. In 1986, he attended seminars by noted American Martial Artists Bill Wallace and Billy Blanks. Since 1980, he has attended several seminars and courses with South African instructors like Bakkies Laubscher (8th Dan Goju Ryu), A.K. 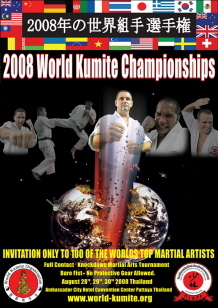 Ismail (7th Dan Kyokushin), Sonny Pillay (7th Dan Shotokan), Max Grunau (7th Dan Ishin Ryu), Nigel Jackson (7th Dan Shotokan), etc. 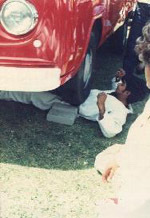 In fact, he has attended more than 100 such courses both locally and abroad. Between 1986-87, the commitment to Ashihara Karate became too great and he had to apply himself solely to his organisation which at that time has spread to Transvaal and Natal. Before leaving for home, he also had the opportunity to test for Shodan in Okinawan Goju Ryu. Whilst in America he was further exposed to various Weapons Arts and he has continued this interest by training with other experts both locally and abroad.